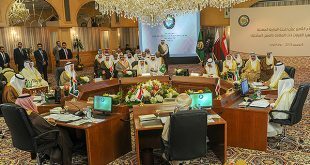 SINCE its inception in 1981, the Gulf Cooperation Council (GCC) has proven to be the most able Arab institution in terms of facing challenges; whether from outside when it encounters, and continues to encounter, attempts to weaken and divert it away from its course, or internally through the pessimist opinions of some of its citizens. These pessimist opinions emanate from the ideological calculations of political factions whose objectives are known. In fact, the GCC in the past had the ability to transform challenges into an opportunity for more integration. 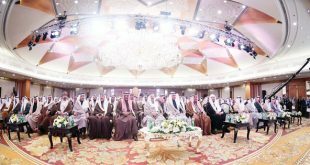 This institution was established through the initiative of HH the late Amir Sheikh Jaber Al-Ahmad Al-Sabah during the Arab League Summit in Amman — the capital Jordan — in November 1980, when the late Amir saw the level of Arab disunity. This disunity was known even when helping one of the countries — Sudan — which was considered the basket of food for the Arab world; and how Arabs differed at that time as to who would pay $4 billion which was sanctioned for the development of this Arab-African country. This opinion took its course towards quick realization due to major similarities in the culture of GCC nations; in addition to their social, economic and political comparability, contrary to other Arab communities. The GCC was established with a proper and strong structure. The proved its strength in facing the repercussions of Iraq-Iran War that erupted a year or less before its inception. The first difficult test for the council was the Iraqi invasion of Kuwait in 1990, which happened nine years after its establishment and at a time it was still finding its way towards cementing cooperation between its countries. Therefore, crises encouraged the council’s leaders to work towards ensuring continuity of the organization. 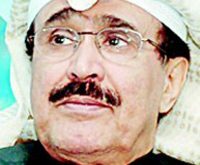 After that, the GCC proved its ability to counter direct external aggression; whether by crushing the Persian scheme in Bahrain or Yemen, or through its resistance in the fierce political war waged by other countries against it. Today, because of the repercussions of the Qatari crisis with three of the GCC members; there has been an increase in the number of ‘press celebrities’ calling on Doha to withdraw from the council. Some portray the council as if it is on its death bed and it has become necessary to bury it. At the same time, world countries, especially the major ones, insist on the importance preserving this council because it is the only guarantee for its members to maintain stability and distance from threats of parties striving to tear it apart in a manner that will enable them to control the members. Despite all the odds, withdrawal of a member does not mean demise of the council. In fact, the five remaining members can move along with the council until they realize certain objectives to maintain internal order. 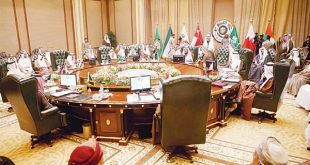 Based on this, the affirmation of His Highness the Amir on various occasions has been the fact that the council, which continued for 37 years, will never break apart. The council will continue with its course and no crisis can threaten its existence. Because of this, his continuous emphasis on solving the current crisis between the four Gulf countries should be within itself. In return, Qatar’s foreign minister made an excellent move when he announced a few days ago that the government of his country is not thinking about withdrawing from the council. It is possible to build on this position in relation to holding the GCC summit. This is a populace quest, because the nationals of this council, including Qatar, do not want to see the collapse of this organization which serves as their guarantee. Therefore, everyone should feel the historic responsibility in this regard. They should not lose such great strength as any diversion from the course of enhancing internal relations will lead to infiltration of demons to mess with the peace and security of our countries. Hence, holding the summit will shut the door to the blowing wind; and our countries will reach their destination through internal dialogue.